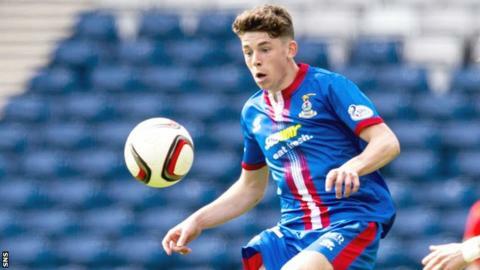 Scotland's football writers have named Inverness Caledonian Thistle's Ryan Christie as their young player of the year for 2014-15. The 20-year-old midfielder has made 40 appearances for John Hughes' side this season. His four goals have helped clinch third place in the Scottish Premiership and a Scottish Cup final against Falkirk. Christie also made the shortlist for the PFA Scotland young players' award, which was won by Jason Denayer.